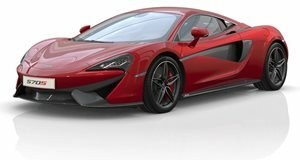 McLaren 720S Sold Out For Most Of 2018? Some customers are even ordering two. To say that the new McLaren 720S has been a phenomenal success would be an understatement. Woking hit this one out of the ballpark and scored a direct hit smack dab on Maranello, Italy, home of Ferrari. The supercar industry has taken notice of McLaren’s surge, plain and simple. Autocar has learned that the McLaren 720S has sold out for a solid chunk of 2018. Turns out more than 1,500 orders were taken for the new supercar which means there’s likely a wait list now. And because the 720S is, in a word, spectacular, several customers have reportedly placed two orders. The first 720S they want as soon as Woking can churn it out, while the second one can wait. Why? Because MSO, McLarens bespoke division. These anxious early buyers want their second 720S to be customized to their personal tastes, and this, understandably, takes additional time. So think of their first 720S as something to entertain them for a while until that fully bespoke 720S arrives. Not a bad way to live, huh? 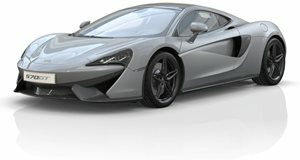 With a base price close to $290,000, the 720S is part of McLaren’s Super Series, meaning it’s the mid-range supercar. The so-called “entry-level” McLaren is the Sport Series, meaning the 570S and 570GT. Neither of them are exactly lightweights; they face-off directly against the Porsche 911 Turbo. 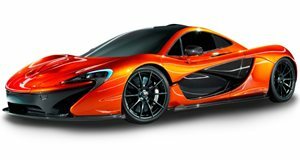 The Ultimate Series, however, is where the P1 calls home and also, as we recently learned, the upcoming P15 hypercar, which will be McLaren’s "most extreme road car in its history." For the moment, it’s the 720S that’s enjoying the spotlight and it deserves every moment.